In my dreams, I can fly. As I run and spread out my arms, my feet leave the ground and up I soar – above the trees and over houses, cities, oceans and forests. I’m at peace, limitless…absolutely free. If only I could hold on to that feeling! It’s just a whisper of a memory by the time my feet hit the floor. Maybe that’s why I’m so fascinated by birds. 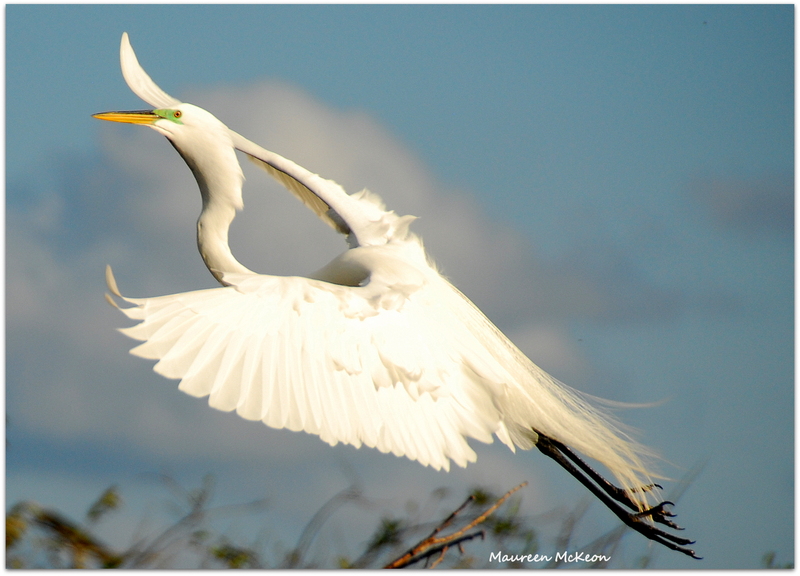 For me, the sight of a bird with wings spread, gliding gracefully through the sky, evokes a feeling of pure awe. Last week, I learned a new acronym from my photographer friend Jon-Mark Davy: BIF. 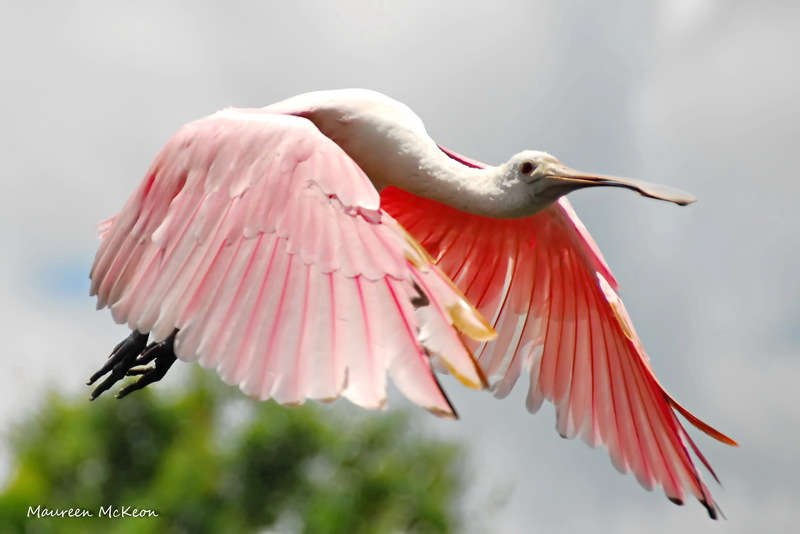 Every wildlife photographer aspires to capture a great one: Bird In Flight. It’s not easy to get a sharp BIF photo; a moving subject is a lot more challenging than a “bird on a stick”! But I keep watching the sky for opportunities to practice. 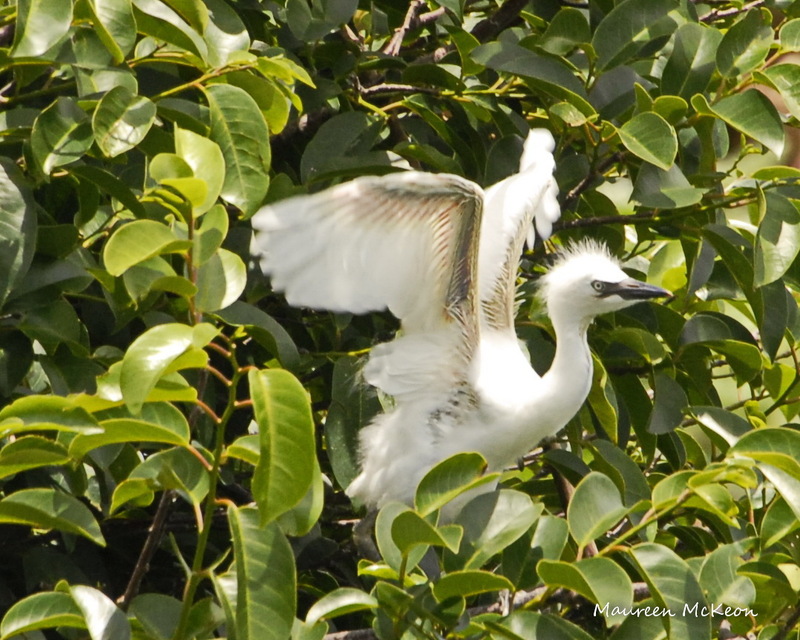 I’m like this little cattle egret just learning to use its wings. I’m doing the work and using my faith muscle, trusting in the process. One of these days I’ll have the skills and courage to leave my comfy nest, make that big leap and fly. Surrounding yourself with friends who believe in you helps, too! How do you use your wings? What makes your spirit soar? ← A great day for ducks! Ralph, you’re never too old! And thanks for being one of those friends who never stops believing in me. Your photos are always good (non qualitative comment) and your words are even better. Thanks for taking the time to share both to those of us who enjoy your company, spirit and life. You have become a good friend. Thanks, Jon-Mark. Your comment touched me. It’s getting to know people like you and Jo that makes the journey so much sweeter. your honesty and perspectives are fantastic ! thanks for contributing to the positive energy and inspired upliftment of the planet. Thanks, Earl. And you just contributed to the positive energy with your comment!